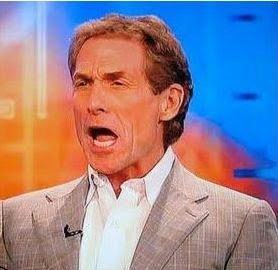 ESPN offers a product called ESPN Insider which it markets thusly: "Only ESPN Insider gives you access to the exclusive analysis and insights, latest rumors, breaking recruiting news, blah blah freakin' blah." (I added that last part). The theory behind the name "Insider" is presumably that ESPN employs people who, thanks to their connections, resources, past occupations, etc., have access to information the rest of us don't like trade rumors, scouting reports and injury news. It's just like inside information for stock market investors except that (a) it's for sports, (b) it's legal and (c) it's relatively useless. So if you want to know what unknown quarterback is rocketing up NFL teams' draft boards in April, then you better be an ESPN Insider to gain the benefit of Mel Kiper and Todd McShay's insight. If you find yourself wondering where your favorite NBA team fits into the league's hierarchy after all of the off-season transactions, then ESPN Insider is the place to go. And if you want to know what really happened in the casino elevator between Ray Rice and his fiancee back in February, then ESPN Insider is there for you . . . just as soon as TMZ releases the videotape. Wait what? How did that happen? 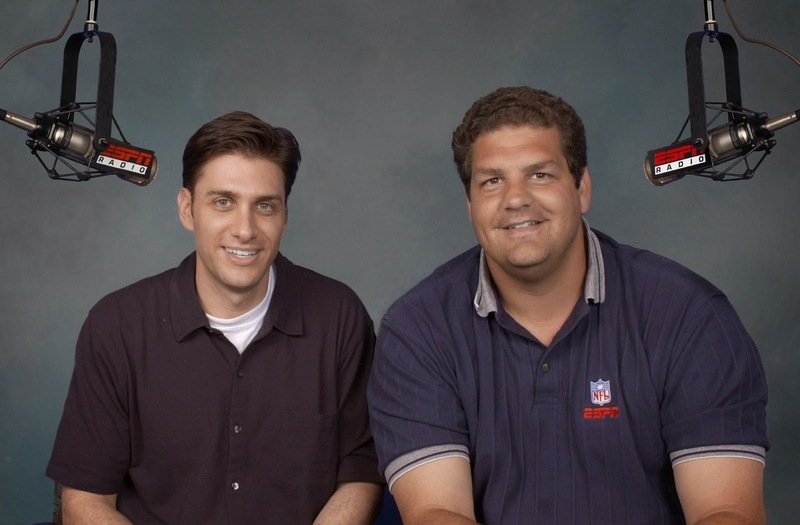 What in the hell have Sal, Mort and Schefty been doing for the last six months? Where were Jeremy Schapp, Ed Werder and Bob Holtzman? Shelley Smith? John Clayton? Anyone? If this crew had been working at the Washington Post in the early 70's, the Watergate would still be just another random D.C. office building and we'd have missed-out on three years of jokes about Gerald Ford playing too much football without a helmet. (Yes, we used to joke about the president having football related concussions. Sorry). Bloviating Half-People in their natural habitat. When the videotape was released, ESPN did exactly what any news outlet would do after such a gross miscarriage of journalism. It had its cadre of bloviating half-people* take to the airwaves, website, Twitter and every other form of communication known to man and immediately start shredding the NFL and the Ravens for failing to do their jobs. As counterintuitive as that may seem, there really wasn't a group of people more qualified to identify gross incompetence at that point. Takes one to know one right? What followed was hour upon hour of speculation because, after having blown the original story, a new one needed to be manufactured based on the questions of who knew what and when did they know it? There was still a Woodward and Bernstein moment out there and dammit, someone had to pay for the delayed justice that was meted out to Ray Rice even though he has not played a game since the incident occurred and he may never play another. ** You see it's not really about justice anymore, it's about justice per the shifting moral codes of the bloviating half-people who really have no idea what they're talking about when it comes to criminal investigations, dealing with employees or, for that matter, having a job that amounts to anything more than watching other people do their jobs and then talking or writing about it. We know this to be true because so often their comments are prefaced with a disclaimer like, "I'm not a lawyer" or "I'm not sure how this process works" or "what we should probably do is get someone in here who deals with these issues everyday" and then they blindly opine anyway. 1. You receive notice of the incident and your first priority is to make sure that the situation is defused. In Ray Rice's case, it occurred in the off-season and the legal authorities were involved from the outset so there wasn't much the Ravens or the NFL could do as far as initial damage control and, by damage control, I don't mean covering-up the story because not everything is a cover-up despite what we've been led to believe. By damage control, I mean getting in touch with Rice to make sure he doesn't do or say something to make the situation worse which is in everyone's best interest at that point except of course for the media. 2. You start gathering as much information as possible - first by bringing Rice in and having him tell his story. Remember that Rice is the only one the Ravens have any control over in this situation and even that is limited by the terms of his contract, the collective bargaining agreement and the law. At this stage, you start formulating an idea of how you are going to handle this mess based on the evidence you have which amounts to a one-sided account from your employee and whatever information New Jersey law enforcement has provided which won't be much, if anything at all. You can ask for it all day but they have no obligation or incentive to give it to you. 3. You've probably gathered 90% of the evidence that you're going to get and the clock is ticking so you have to make a call. At this point, and I cannot stress this enough, the character and past performance of the employee in question is a major factor for a couple of reasons: (a) One of the byproducts of being a good person/employee is that you earn the benefit of the doubt when your character is called into question (note that you only get to play this card once); and (b) If you have any kind of teamwork oriented culture in your company, your first instinct is to back those employees who have demonstrated through performance, work ethic and their treatment of others that they are worthy of your support. Ray Rice had a history of being above and beyond a good citizen and a great teammate so I am fairly confident that the Ravens were inclined to treat this as a one time incident*** and stand behind him while he weathered the storm that he brought upon himself. 4. You adjust your position based on newly discovered evidence but that does not mean that you continue to diligently investigate the matter and that's where the half-people have been shooting airballs for the better part of a week. Employers like the Baltimore Ravens investigate matters like the Rice incident to the fullest extent possible by considering all of the evidence within their reach. They do not, however, have subpoena power or any other magic wand to obtain all of the evidence they may want to see. Then they make a decision and move on unless something else is revealed to them. Should the NFL have done more to investigate considering it employs personnel who specialize in that line of work and part of its job is to protect the image of the league? Yes. Should the Ravens have done it? Maybe, but remember that the primary objective of the Ravens is to win football games (and of course make money) and to do that successfully, they needed to close the books on the Rice case and let the NFL and the legal system handle it. They weren't abdicating responsibility. They were putting it where it belonged, in the hands of the league and the New Jersey courts. What people who pontificate for a living either forget or don't understand is that the primary objective of any business that sells goods, services and/or entertainment is not to make sure it is employing people cut from the highest moral fiber. The goal is to employ the people most qualified to produce those goods, services and/or entertainment. Look at it this way. If you need someone to fix the brakes on your Buick or hit the side of the right building with a wrecking ball, do you want the above average guy who pays his taxes on time and volunteers at the senior center every weekend or do you want the expert who happens to be late on his child support payments and was arrested for assault last year? Sometimes the choices just aren't that clear and you might have to veer from the righteous path to get the most qualified person for the job (see, for example, current on-air sports personalities such as Michael Irvin (drug possession), Charles Barkley (DUI) and Ray Lewis (obstruction of justice)). me out of my misery." So to the half-people at ESPN and others of its ilk (I'm just picking on ESPN because it was one of their discussions on the matter that set me off), please spare us the moral outrage about how the Rice matter was handled and, while you're at it, stop calling for a new policy to be instituted every time someone slips through the cracks of the current policy. Do you know when the NFL punishment structure turned into a total joke? It was when they started trying to match the length suspensions to specific infractions instead of applying common sense and dealing with them on a case by case basis. 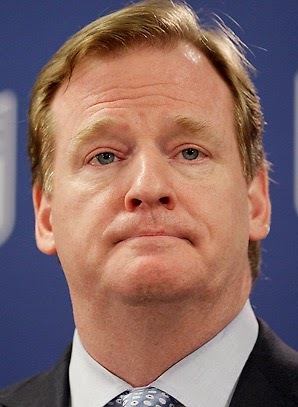 That, plus Roger Goodell's seemingly complete detachment from reality**** is how Josh Gordon gets a season long suspension for smoking weed while Ray Rice only gets two games for knocking-out his fiancee and Greg Hardy suited-up for the Panthers in week one. At the risk of sounding like Colonel Jessup, it must be nice to live in a world where the only way you can screw-up is to say something so offensive into a microphone that you offend an entire segment of society. Beyond that, you can pretty much say whatever you want whether it's right or wrong, accurate or not because ultimately it's just going to be bulldozed under another pile of opinions and that's fine when you're talking about Alabama's quarterback situation or whether the Orioles have enough starting pitching to win the World Series. But let's try to be a little more measured and prudent when talking about matters like domestic violence, child abuse and when misconduct rises to a level that a person's livelihood should be taken away. And while you're trying to save the world from all of the bad people with your microphones, please don't fool yourselves into thinking that you're helping. Talk is cheap when the stakes are this high and if talk is all you have to offer, then I think we're good. Thanks. * I don't know what to call the people ESPN puts on television because they're not really reporters, journalists or announcers so I'm just going to call them what they look and sound like most of the time as they sit behind desks shouting into microphones. . . bloviating half-people (bloviate: to talk at length, especially in an inflated or empty way). Man I miss the old ESPN that had some dignity and self-respect. ** Please do not interpret this as a defense of Ray Rice because there is no defense for what he did. The fact that anyone tried to conjure one up is beyond me. *** To the best of my knowledge, we have no evidence that this was not a one time incident despite much speculation to the contrary. Again, I am not defending Rice who is getting what he deserves by way of suspension and public scorn but let's stick to the facts. **** In addition to words and actions, another way to evaluate a person in a position of authority is to look at whether he or she is able to surround himself/herself with smart people and then listen to them. I get the sense that Goodell either doesn't listen to anyone or he has surrounded himself with people who think just like he does which is dangerous because it only serves to strengthen your convictions about making the wrong decision.